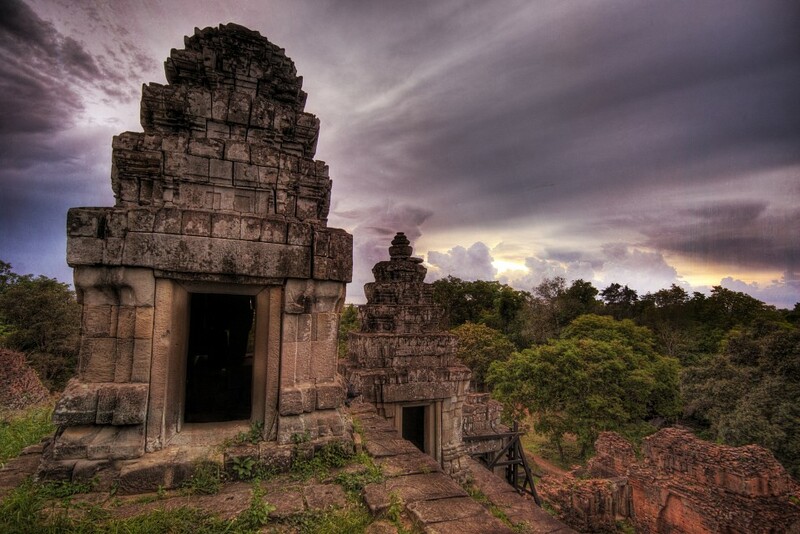 Cambodia is one of the most contrasting countries in all of Southeast Asia; renowned for being home to one of the world’s most impressive ancient wonders, as well as its most devastating genocide. 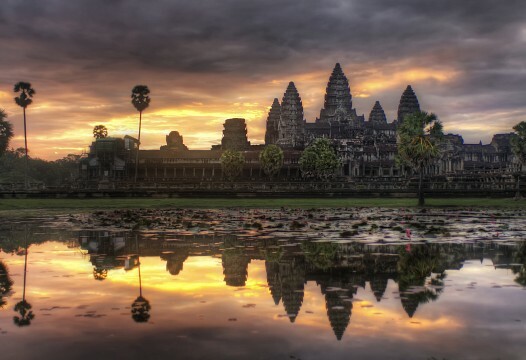 Over the centuries, Cambodia has been ruled by a mighty ancient empire and a homicidal maniac, and the consequences of both are palpable in almost every corner of the country. 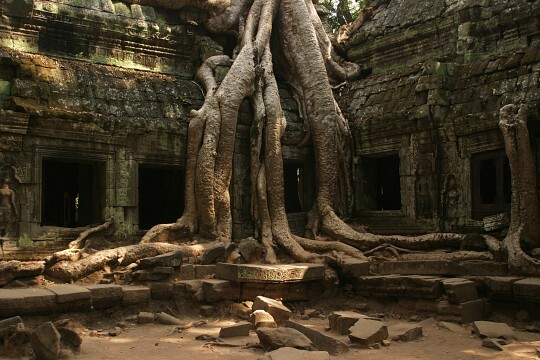 With this conflicting mix of enticing and horrifying, Cambodia can be both a captivating and disturbing place to visit. Ancient Khmer history and architecture are Cambodia’s best assets and the main reasons countless visitors flock here every year. The country does boast a few natural beauties yet it should be noted that these are not as impressive as those of neighboring countries: Cambodia’s beaches fade in comparison to Thailand’s and its jungles aren’t nearly as enticing as those of Laos. Still, Cambodia has Angkor Wat, and when one has this incredible gem of ancient architecture, one does not need much else to pull in the crowds. 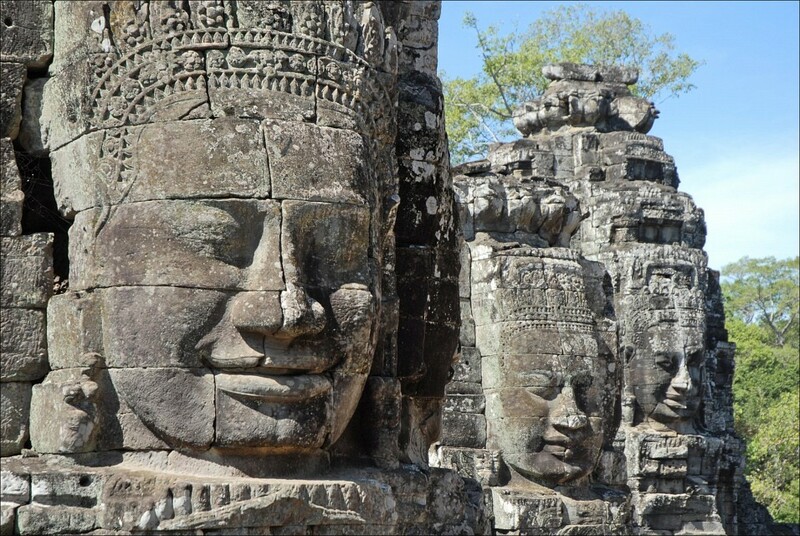 It’s fair to say that Cambodia’s most prosperous and peaceful era was when the country was ruled by the formidable Khmer Empire , the one responsible for the construction of over 4,000 breathtaking temples. To say that the country suffered a ‘spate of bad luck’, after the fall of the empire in the 15th century, is an understatement of colossal proportions. Invaded and sacked by all of its neighbors, Cambodia was also colonized by the French for an entire century and excessively bombed during the Vietnam War. Although the country fought long and hard for its independence, when it finally arrived in the 1950s, it turned out to be very short lived. No one could have imagined, back then, that Cambodia was about to enter its darkest era yet. When Pol Pot and his Khmer Rouge came to power in 1975, Cambodians breathed a sigh of relief. Finally, they surmised, they could get the country back on its feet. To add insult to injury, Cambodia had also just been carpet bombed in the late 1960s, so a change in government, and the ousting of the invading Vietnamese, was seen as a godsend. Yet Pol Pot was a socialist revolutionary who turned out to be nothing more than a homicidal dictator. The Cambodian Genocide was the result of Pol Pot’s fanatical communist ideals and misguided attempts at social re-engineering. In one way or another, his actions caused the death of an estimated 4 million Cambodians through murder, enforced famine, genocide, and politicide. At the time, this amounted to 60% of the country’s population, which is why it is often referred to as the world’s most catastrophic genocide. 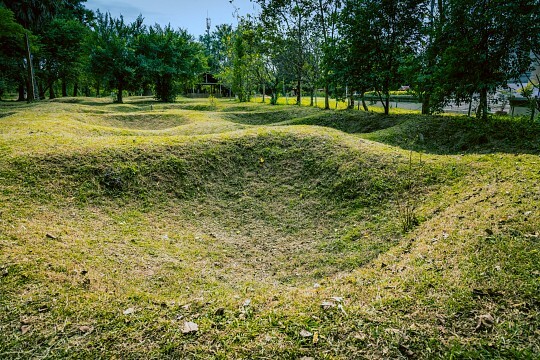 Along with Angkor Wat, Cambodia has also become synonymous with the Killing Fields. Pick up a copy of the English version of Cambodia Daily and you’re bound to read about the latest arrest of yet another Khmer Rouge leader. Although the genocide was indeed horrendous, it was also very recent and the country is still in the midst of righting its wrongs. The average tourist will likely not notice signs of the ever-so-slight political instability from which Cambodia still suffers, yet astute travelers will no doubt notice, that behind the friendly and peaceful façade, something is eerily amiss. 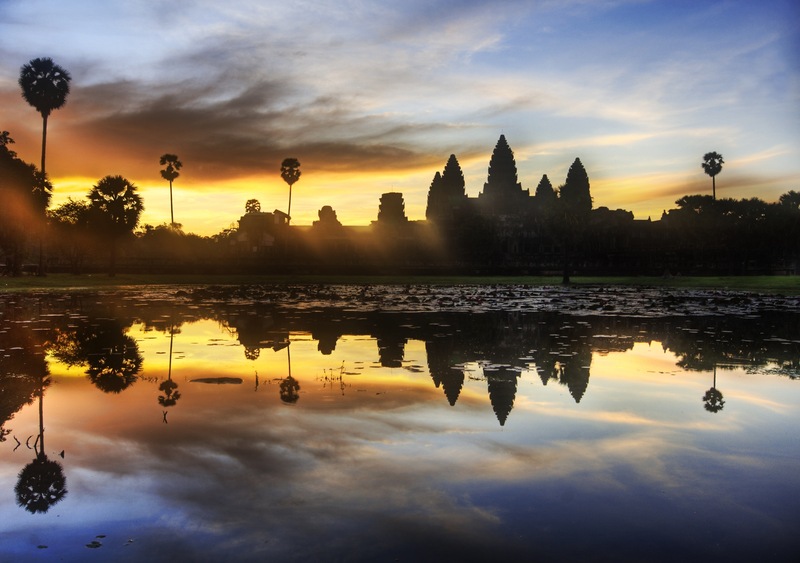 Cambodia, like all other Southeast Asian countries, is an appealing holiday destination, and not all has to do with temples. It’s blissfully tropical, cheap as chips, and blighted with widespread corruption. One can do or buy anything here, including drugs and children. The toxic consequences of the country’s lack of moral conviction are devastating. This is now the number one hub in the region for exploiters, human traffickers, and pedophiles, although you won’t see this snippet of important info printed in any travel brochure. It’s still very early days for Cambodia. To become a major tourism world player, it would need to not only clean up its act but also improve its infrastructure and finish rebuilding its horrendous roads. Once all this is done, you can hopefully sit back and watch this treasure of a country blossom into tourism super-stardom. Heaven knows it could certainly do with some good news. As long as you're happy to put up with a few minor discomforts, like arduous bus rides, overcrowded landmarks, and dubious food hygiene levels, you'll find Cambodia a very easy and pleasant country to explore. Attractions abound, accommodation is cheap, and the food varied and delicious. As you start planning your itinerary, do include the following attractions to ensure your trip is as comprehensive as can be. The grand dame of the ancient Southeast Asian temple world, this incredibly extensive park, fiercely protected under the UNESCO Heritage program, is the most striking attraction in the entire country. Here you’ll find famous temples like Angkor Wat, Angkor Thom, Banteay Srei, and Ta Prohm among a forested sea of at least one thousand others. Mesmerizing, awe-inspiring, and incredibly beautiful, this is the place everyone comes to see. Siem Reap is the tourist hub of northern Cambodia (if not the entire country) and the base from which to explore the Angkor Archaeological Park. It may be rough around its rubbish-strewn edges, yet it also boasts some very pretty corners, is insanely fun, relaxed, and boasts quite a few attractions of its own accord. Spend a few extra days here and enjoy a retail therapy fix, indulge in a heavenly dose of traditional Khmer massages and feast on an array of delicious cuisines. 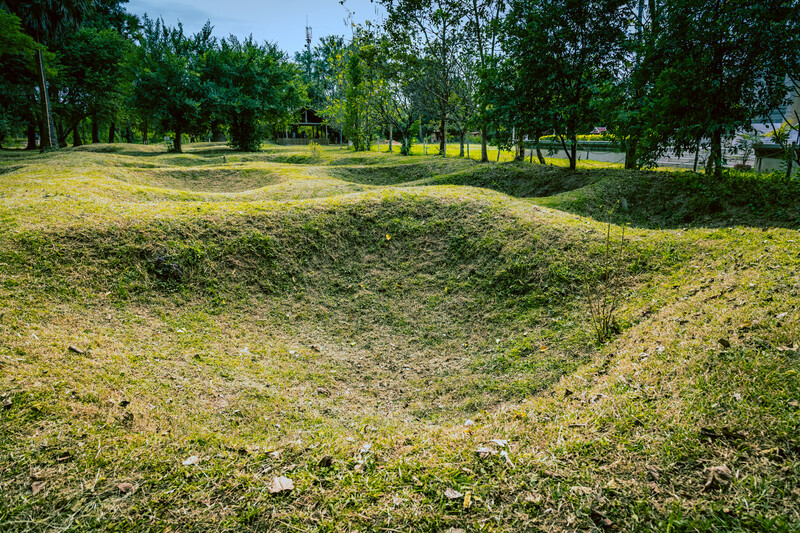 On your way to explore the outer temples of Banteay Srei, just outside the periphery of Siem Reap, make a point of stopping at Cambodian Landmine Museum, a most informative museum. 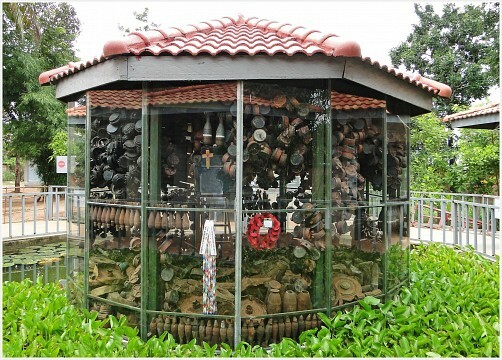 This very educative albeit disturbing museum showcases the still-massive problem the country has with unexploded ordnance as well as detailing the tremendous damage inflicted during decades of civil unrest. The gritty and compelling capital of Cambodia, Phnom Penh is a popular springboard for exploring the northern and southern hubs, whilst offering a splattering of cultural and historical attractions. 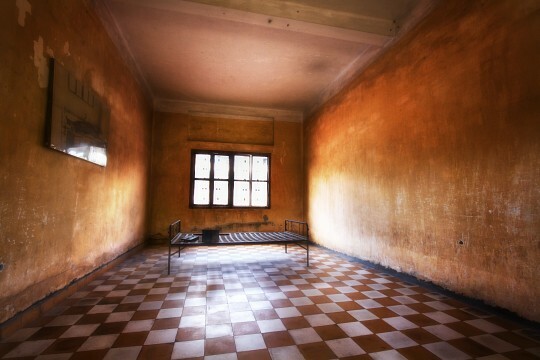 Whilst here, you can dive headfirst into the grim history of the country, by visiting the Tuol Sleng Genocide Museum (a former school which was turned into a torturous prison by the Khmer Rouge) and Choeung Ek, the most infamous of all Killing Fields. Phnom Penh’s National Museum of Cambodia and Royal Palace of Phnom Penh provide a nice reprieve from the gruesome glimpse into the country’s history and both are exceptionally rewarding. While the museum boasts the country’s best display of cultural and archaeological history, the Royal Palace give a delightful glimpse into the opulent lifestyle of the Royal Family. The beautiful gardens and interesting architecture make up for the fact that visitors are actually not allowed access to a great majority of the palace. Cambodia’s favorite beach hub is a bit of a mess, frankly speaking. Part blissful beach rest and part tourist hell, this small but lively town is abuzz at any time of year and attracts a kaleidoscope of folks. From pot-smoking hippies to touring families (both local and foreign), the town is a fun beachside resort and makes for a convenient break from the capital. Nevertheless, if you have visions of idyllic, tropical stretches of pristine beach, Cambodia’s coast may leave you disappointed. Snooky, as Sihanoukville is known, is a much poorer cousin to more famous hubs in Indonesia and Malaysia, but if you only have a few days to spare in Cambodia and wish for a beachy escapade, then it’s certainly ‘good enough’. Snooky is the port base for trips to Koh Rong, a stunning island with miles of sparkling beaches and insanely beautiful sunset spots. Unfortunately, the usual rubbish problem persists here, yet if you stick to beachside resorts which boast private stretches of beach, you'll find them to be very well-maintained. 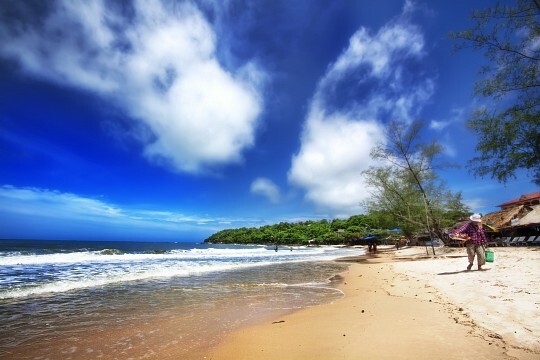 Kep is the second most popular beachside town in Cambodia, and found just 81 miles southeast of Sihanoukville. Aside a short stretch of somewhat nice beach, and a great crab market, it has little to offer aside being a stepping stone for visiting Koh Tonsay (or Rabbit Island), a paradise island just an hour’s boat ride away. 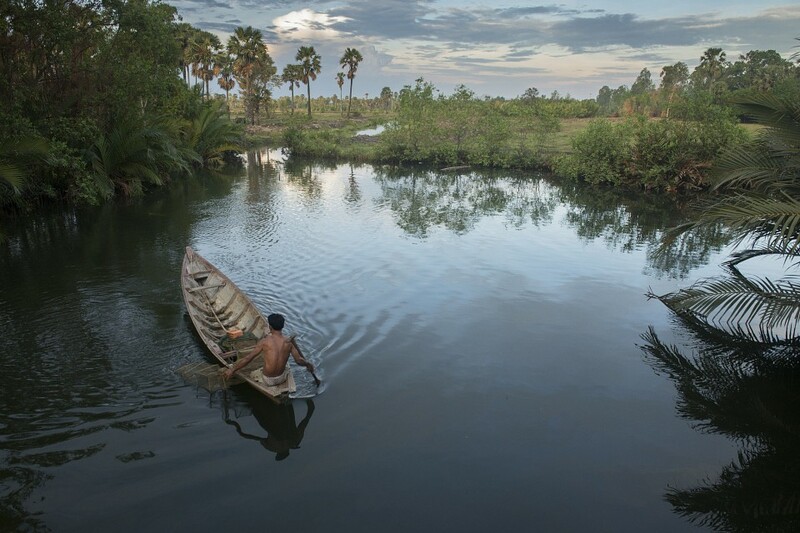 This is where Cambodia shows off its coastal beauty best. The remote island is lacking any major infrastructure, where electricity is still run by generator and accommodation amounts to nothing more than a few beach huts. This, in fact, makes it striking beyond words. Known for its nightly display of biolumiscence and laid-back vibe, Koh Tonsay is a popular day-trip destination from Kep, which makes it a blissfully quiet overnight spot. 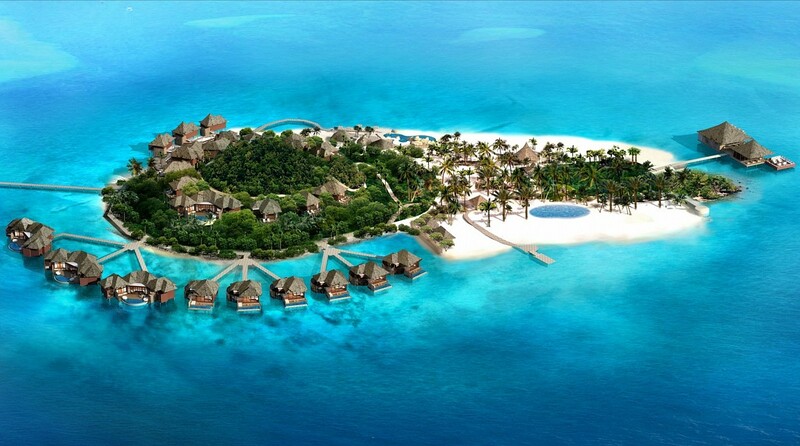 Just be warned, construction and modernization of this island means it won’t stay this ‘idyllic’ for very long, so do get here pronto. Kampot is the least visited of the three beach towns, which has much to do with the fact that it is, in fact, not on the beach. Set along a river a few kilometers inland from the coast, Kapot is arguably the nicest town of the lot and makes for a refreshing change. The riverside location is lovely even though there are no town-side swimming spots. However, Kampot boasts a couple of waterfalls nearby (ideal for a day trip) and is the gateway to the Preah Monivong National Park with its French colonial-era ghost town, Bokor Hill Station. 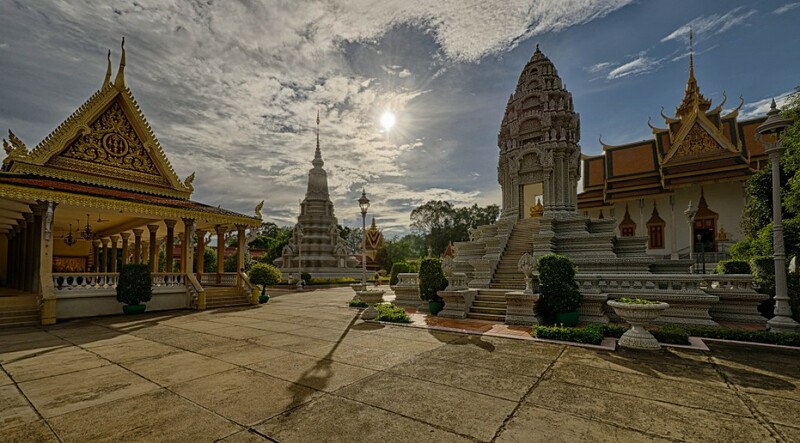 Over 90% of Cambodia's 16 million inhabitants are ethnic Khmers, most of which follow a very distinctive branch of Theravada Buddhism which boasts elements of Hinduism and animism. Going by their history and ability to bounce back from extreme adversity, Khmers are often thought of as some of the most resilient people on Earth. Friendly, open, and hospitable to foreigners, they are the prime reason most tourists fall in love with Cambodia. The Khmer culture is very rich and historic and nowadays kept alive thanks to the country's tourism industry, which is its main money maker. Considering that almost half of the population is illiterate, this is quite an important aspect to protect. Agrarian by nature, Cambodians have stuck to their roots throughout the evolution of the economy in recent decades. In the business sector is where you'll mostly find immigrant Chinese and Vietnamese. In the northern region of Cambodia is where you'll run into hill tribe villages, which make up a very minor yet very interesting section of Cambodian society. Cambodia has made steady economic progress in the last few years, with income being generated primarily through tourism and garment manufacturing. A boost in construction is showing real effects, with the main tourist hubs receiving considerable investments. For now, the whole country resembles one humongous construction site, yet it's safe to say it will be almost unrecognizable in a decade or so. Despite all this, Cambodia still remains one of the world's poorest countries, with almost a quarter of the population living a subsistence life and earning an average of $ 1.00 USD a day. The country operates on a dual currency system, so both Cambodian riels and American dollars being widely used. Four-thousand of the former make up one of the latter. ATMs across the country primarily dispense dollars. The level of health services in Cambodia are painfully lacking, which isn't helped by the fact that right next door reside the best hospital and health services in the region. Hospital visits to Thailand are a very common occurrence here, and some believe this leads the government to not concentrate too many funds into improving its country’s own. Unfortunately, it still takes a considerable amount of money to make a trip across the border, which means a great majority of Cambodians have no access to health care at all. For tourists, the main issues are gastrointestinal illnesses, like amoebic dysentery. All who visit will no doubt suffer from some kind of tummy bug and/or parasite infection. No matter how long or short your visit to Cambodia is, do consider having a stool test upon your return home. Most intestinal infections are not detectable via blood tests and usually only show symptoms once they've caused some major damage to your intestines. Khmer cuisine is, historically, a delectable mix of meat, seafood, vegetables, and an abundance of herbs and spices. The only unfortunate thing is that it is actually a little difficult to find very good local meals, just about anywhere. In tourist hubs they tend to be almost mass-produced and bland, and in small, off-the-track villages, meals tend to be no more than simply filling. Boiled rice and fried spinach is the ubiquitous savory meal, with rice, fruit, and coconut milk being the usual dessert. Luckily, however, there are plenty of very nice restaurants in Siem Reap, Phnom Penh, and Sihanoukville who do take more pride in the local cuisine. Here, a healthy dose of salt, chillies, and fresh herbs are an absolute godsend for discerning taste buds. Siem Reap is a particularly great culinary hub, so don’t miss checking out our best foodie recommendations. Cambodia is a relatively safe country to travel through, with most issues resulting from petty thefts. Most of these occur in budget backpackers and many are perpetrated by fellow foreign backpackers, so do beware. Landmines are still a major issue in the country, although foreign visitors are not usually at risk, as they tend to stick to developed tracks and villages. Nevertheless, it pays to be vigilant if heading off on a trek somewhere. Follow local’s warnings and do look out for signs. Sunstroke and tummy bugs are the most widespread ailments, both of which are preventable if you pack on the sunscreen and stick to established restaurants where filtered water is used to wash vegetables and make ice cubes. 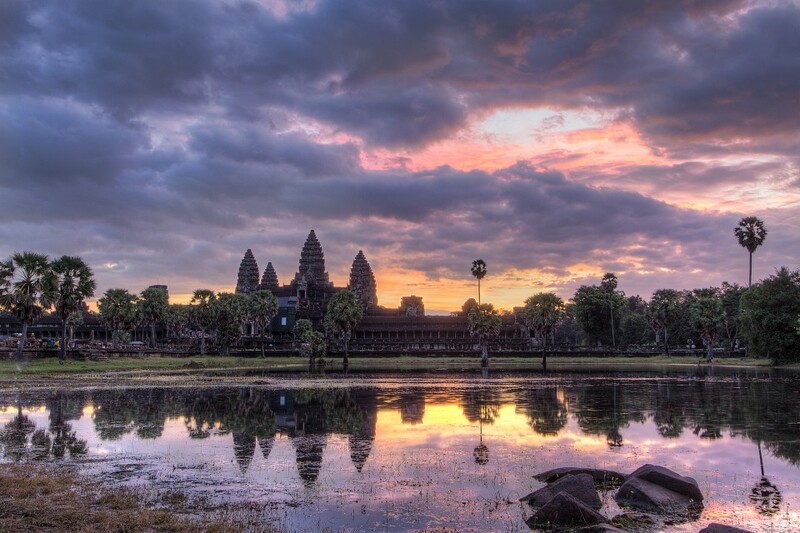 No matter where you go to, in Southeast Asia, Cambodia will be just around the corner. Its central location makes it a convenient place to reach from Bangkok, Vientiane, and Bagan. With airports in its three major ports of call (Siem Reap, Phnom Penh, and Sihanoukville) and plenty of cheap and frequent domestic flights, getting around the country is easy enough. Tuk-tuks are the most convenient mode of transport when within a town or city, with mini-vans and air-conditioned coaches being popular ways to get in between cities, especially for budget travelers. The Siem Reap to Phnom Penh highway (the number 3) has been under reconstruction for years and is, at time of writing, in dismal condition. It takes about 8 hours to cover only 300kms in what is the worst ride in the whole country. On the upside, the Phnom Penh to Sihanoukville stretch has been resurfaced to near perfection, making this trip, at least, fast and painless. You can get from the capital to the beach in about two hours. Visas can be obtained at all ports of entry, both overland and at airports. The current charge is $ 30 USD per person. Do bring US currency and a passport photo with you or you risk being overcharged.